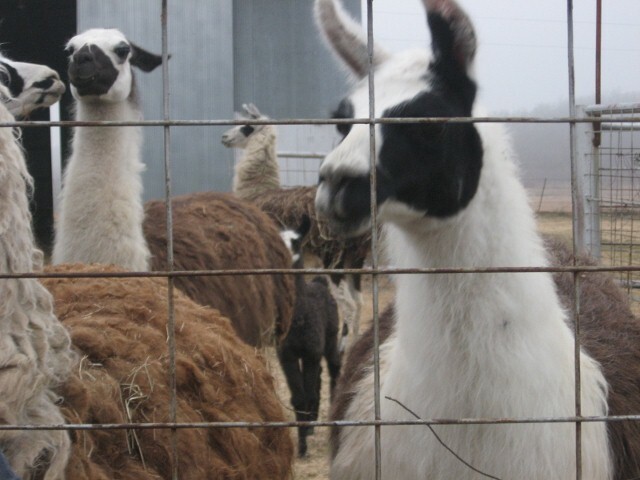 This winter we visited a llama ranch in Beggs, Oklahoma. What a sight the shaggy llamas were!They seemed curious but aloof toward us. I suppose they were hoping for handouts and finding we had none to offer decided to snub us. 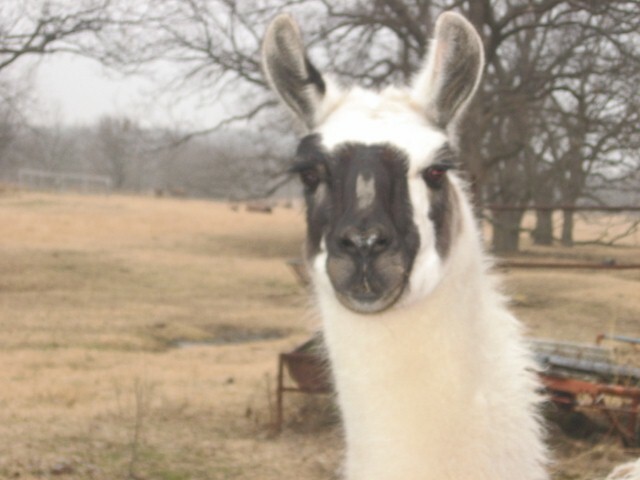 The llamas came in all colors brown, tan, white, black, and speckled or spotted with black and browns. I thought the creatures were most preposterious looking. I couldn’t watch them enough. 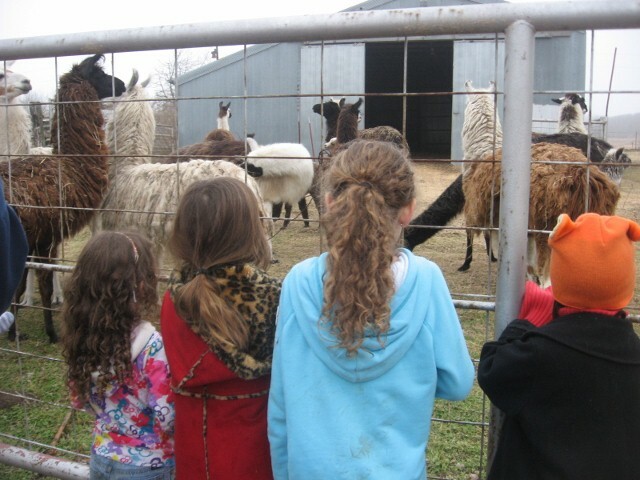 The children were thrilled with the several babies in the herd of some 30 to 40 llamas. I love the photo above of four little girls lined up at the fence watching the animals. 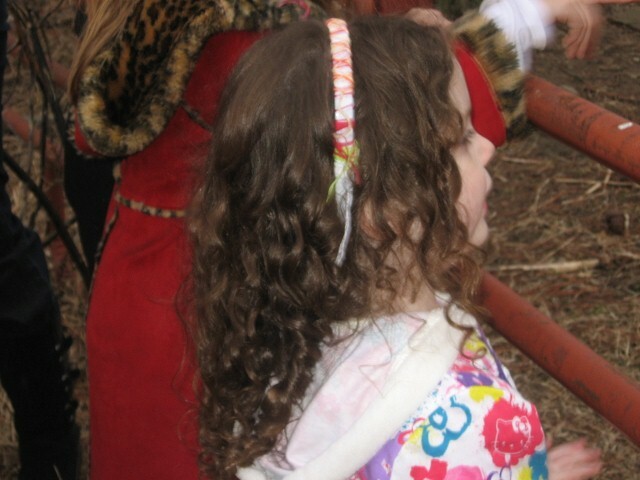 The two children (with curly hair) are Pickard girls and two (red coat and the black coat) are Jackson sisters. 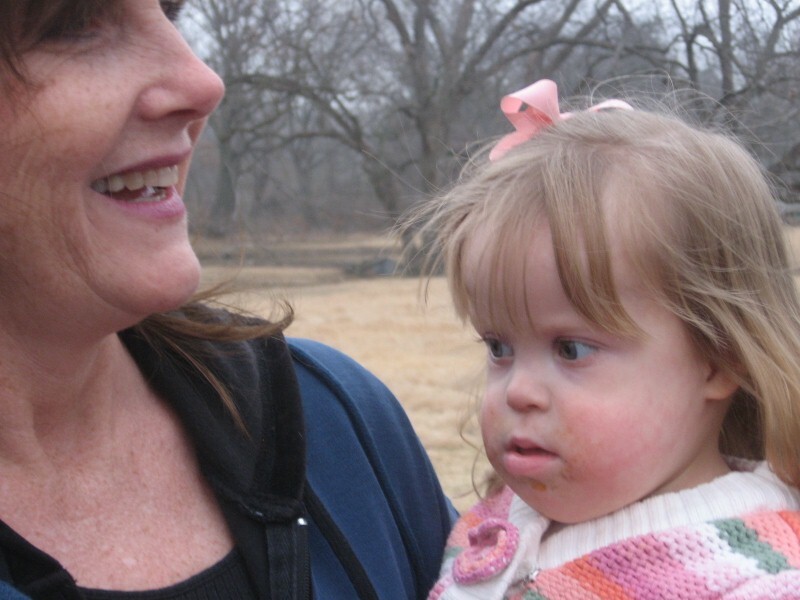 The cute little girl Valerie is holding is Amy Coburn. The herd came out to glare at us. I found it a bit intimidating. The Tiger Ranch in Beggs is owned by Ellen and Mike Walker.Their son Zeke is one of the teens in our homeschool group. 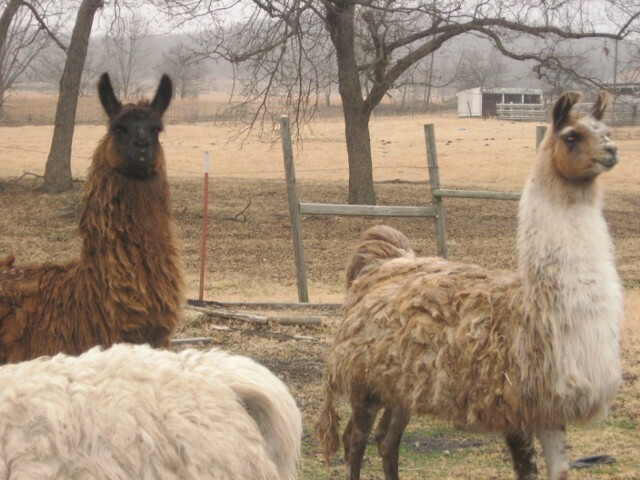 The Walkers have llamas to sell and maybe even some to give away! You never know when you might need a huge cud-chewing pet in your back yard, say to eat poison ivy or something. Maybe to shear for making your own yarn? What you lookin’ at Willis?